Another new food truck will be coming to the streets of the Miami Valley, featuring Venezuelan, Colombian, Caribbean street food. 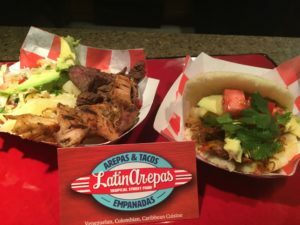 I saw the Facebook page for LatinArepas and sent a message asking to find out more about their food. What I got back was a charming message from Nestor, inviting me to his home for a tasting. As I walked in the door I was welcomed like an honored guest to a house that was set up for entertaining and had a warm tropical influence. Nestor shared that it was at his birthday party in January, celebrating with friends over a meal of South American food cooked by his wife Gabriela that sparked the idea. All the guests said they wish they could eat like this more often and hence the start of the plan for a food truck. Nester then started looking for a truck, and being a handyman by trade, started working on designing a truck, doing most of the work himself, including the design of the logo, the look of the truck, inspired by the old woody station wagons of the 50’s and layout of the brand new equipment inside the truck. The colorful bird mascot on the logo also makes an appearance inside the truck, overseeing the driver. 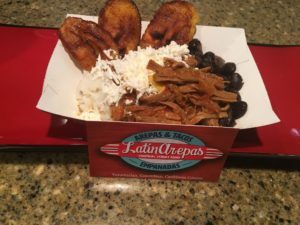 We started with Pabellon, the National dish of Venezuella, a rice bowl with shredded beef, black beans, plantains and white cheese. Next we moved on to Parrilla, grilled chicken and steak served with a cabbage salad that had a citrus kick and yuca, which is the root portion of the plant that tastes starchy like a potato. It was simple ingredients, but cooked fresh, with great seasonings. Nestor then introduced me to the Latinas sauce, a secret recipe he wouldn’t share, but is something they’ll make up fresh daily. Adding it to the yuca totally changed the taste and he shared they’ll also have a spicy Latinas sauce for those that like a little heat with their meal. And then we got to the namesake dish- the Arepas. Chef explained that this ground corn maize dough is the basis of many dishes in her native country and is sold all over the streets of Colombia and Venezuela. It is often split down the middle and used to make a sandwich. The one I tried was filled with Abocado grilled steak, tomatoes , onions, avocado and cilantro. They will have options that are vegetarian and vegan friendly as well, something the noticed isn’t always readily available on many food trucks. You’ll also be able to try the breakfast Arepas, when they start serving breakfast at Ghostlight Coffee soon. Other items that will be available on the truck will be taco’s, and you’ll just have to order one or two to enjoy the twist they have for the grilled tortilla it’s served in. Empanada’s, yuca fries and 3 fabulous fresh drinks-mango, guanavano and a tamarindo that I fell in love with. Of course they’ll also have soft drinks and bottled water, but be adventurous and try one of these South American drinks. I also got to try some of Chef’s Flan and it was light and fluffy with that perfect caramel crust. A little goes a long way, and it was the perfect way to end my tasting experience. Nester shared that he’ll make it easy for folks to order from the truck, as all menu items will be numbered, just in case the names don’t roll off your tongue as easily as he made it seem. There will also be a video screen with pictures of their items, so you’ll know exactly what you are ordering. 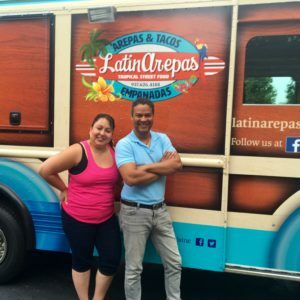 The LatinArepas truck is scheduled to have it’s county inspection this week and you’ll be able to start seeing it out serving up street eats very soon. Their plan is to be at many of the area festivals, as well as doing private parties. (You can always check DMM’s calendar for food truck schedules). I can’t wait to order a pabellon and see my new friends Gabriella and Nestor, I predict great success for them and LatinArepas. A food truck this summer, perhaps a restaurant by next summer? 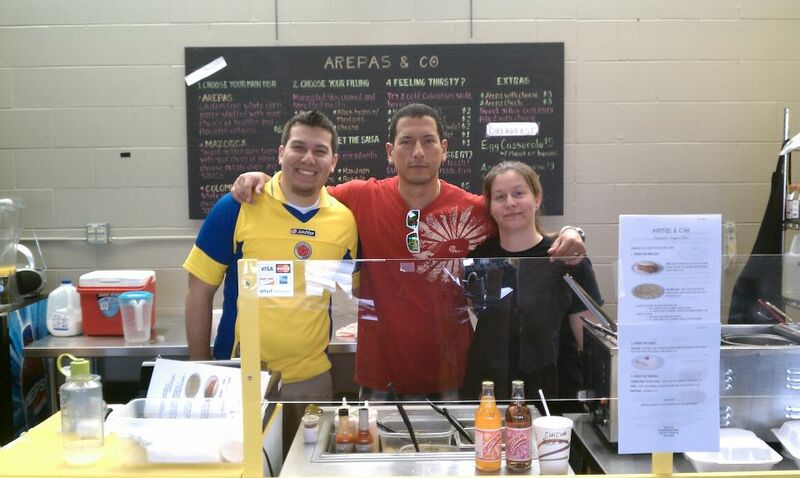 Arepas & Co has opened its doors at the PNC Second Street Market in downtown Dayton to introduce members of the surrounding communities to a new, flavorful food concept known as Colombian comfort food. Our menu features informal, popular dishes such as arepas (white corn patties), Colombian platter (home-cooked style meal), empanadas (yellow corn turnovers), and patacones (fried green plantains) that cater to patrons looking for something new, tasty and affordable. 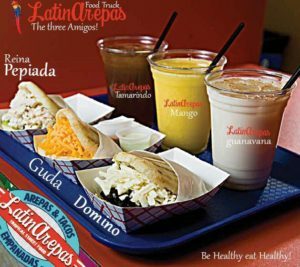 Arepas & Co also offers Calentado (Colombian-style breakfast) on Saturdays, Tres Leches (three milk) cupcake for dessert, and fruit-flavored colas. Our dishes are vegetarian and vegan friendly as well as gluten free. 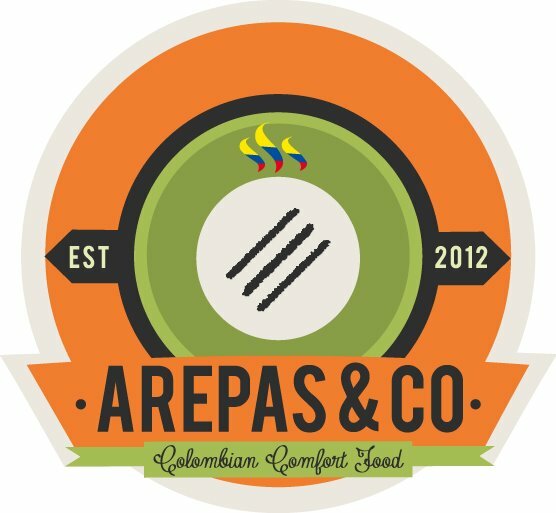 Arepas & Co will be celebrating its official grand opening July 19th, 20th, and 21st which coincides with the celebration of Colombia’s Independence Day on July 20th. Arepas and Co. opens on Thursdays and Fridays from 11 am to 3 pm, and Saturdays from 8 am to 3 pm. Our location is at the PNC Second Street Market, 600 E. Second St. Dayton, OH 45402. Questions or comments can be directed to Lisa Perdomo at 937-620-4099. 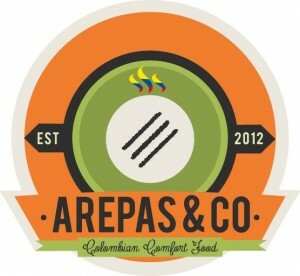 “Our dishes are inspired by recipes that have been made popular by street vendors in Colombia, who are known for providing simple yet delicious foods” said Lisa Perdomo, owner and operator of Arepas & Co. “In fact, the way we marinade our meats is a recipe passed down to my husband by one of his aunts in Colombia whose finger-licking meals are highly rated by friends and family” added Lisa.